Cambridge auction house Cheffins is due to sell the consignment of 20th century British pictures on March 21 in a special auction titled ‘The Curated Eye – Selected Works from Hertfordshire County Council’. The combined estimate for the 152 lots is £130,000-209,000. A further 268 works from the collection, mainly lithograph and prints, are due to be offered in two interiors sales in April and May. The council began buying such works in 1949 as part of the School Loan Collection, a post-war initiative founded by Sir John Newsom, Hertfordshire’s chief education officer, to teach pupils across the county about art. The scheme was suspended in 2012 and permanently discontinued in 2017. 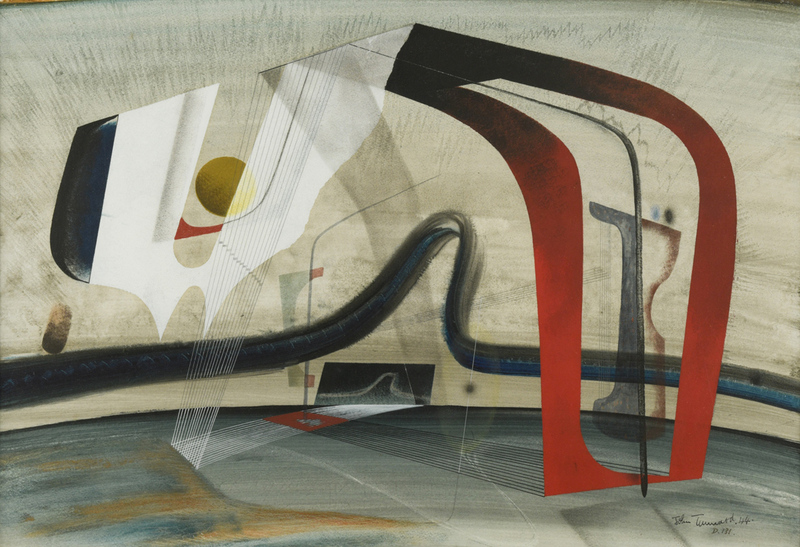 The works being sold this week include examples by a roster of top Modern British names such as John Tunnard, Edward Wadsworth, Carel Weight, Julian Trevelyan, Michael Ayrton, Keith Vaughan and John Minton. Most were kept in storage before the council took the decision to offload them. In response, an online petition calling for the decision to sell the artworks to be revoked has gathered almost 2400 signatures, while a protest held outside Hertfordshire County Hall earlier this month was attended by artists Bob and Roberta Smith and Jessica Voorsanger. The National Society for Education in Art and Design (NSEAD) has lent its weight to the campaign, saying that it “cannot support the sale” and that it “does not agree that the new curriculum, introduced in 2010, justifies 'disposing' of the art for schools”. The current sale is by no means the first time a council has decided to offload works from its collection. A similar decision was made by Cambridgeshire council to sell works that had been acquired under the ‘Pictures for Schools’ scheme at Cheffins in 2017. 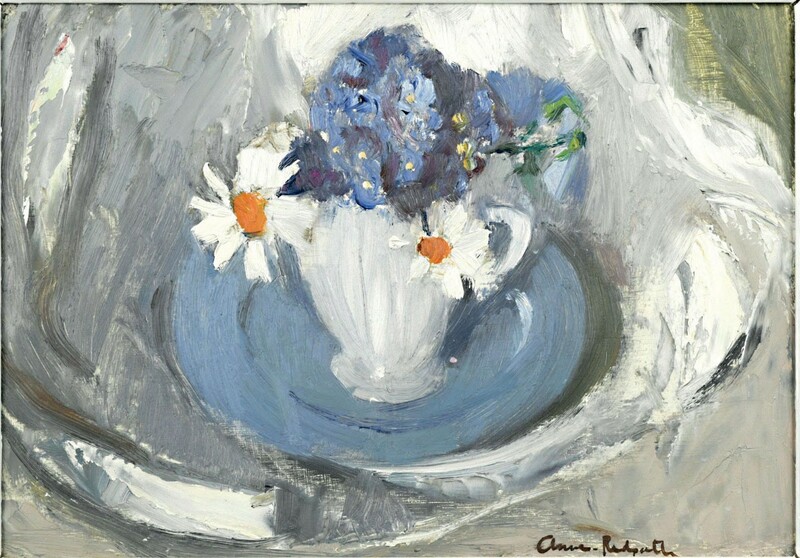 ‘Blue Plate’ by Anne Redpath, estimated at £10,000-15,000. It is offered from the collection of Hertfordshire County Council being sold at Cheffins. 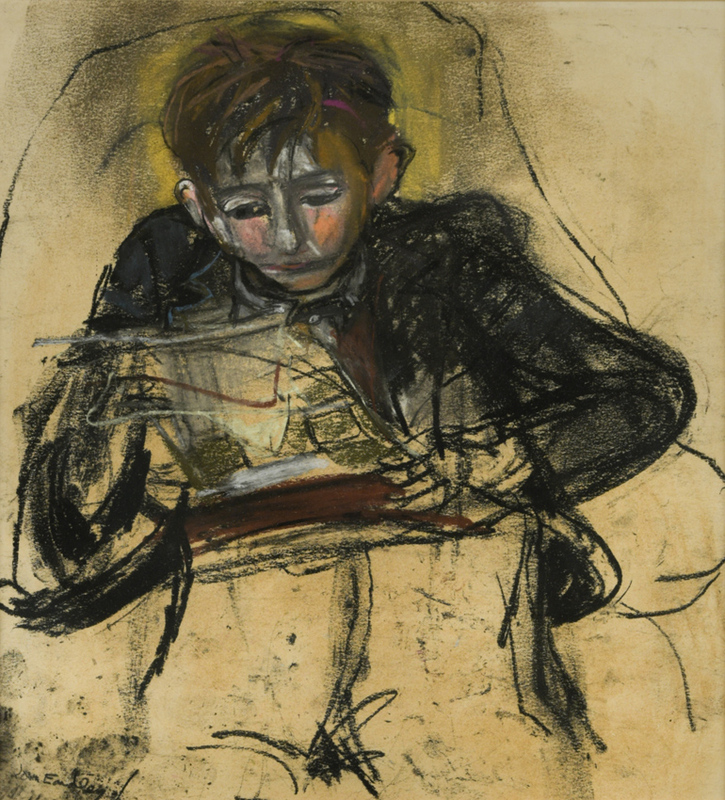 The group on offer at Cheffins from Hertfordshire County Council this week includes a sketch by Barbara Hepworth estimated at £3000-5000, a pastel by Joan Eardley estimated at £12,000-18,000 and a work by fellow Scottish artist Anne Redpath entitled Blue Plate which is estimated at £10,000-15,000. The council pointed out in a press release that, after the School Loan initiative ended in 2017, the collection "posed a significant liability" as a lack of resources to manage it properly could result in the works remaining in storage where conditions were not ideal for conservation. As a result, it has given 112 works from the collection as gifts to Hertfordshire organisations, while a total of 428 works are being offered at Cheffins in all. A further 167 works are being retained by Hertfordshire County Council including five wall hangings by British artist weaver, Peter Collingwood. One of them is now displayed in Welwyn Garden City library and plans are being made for the four other works to be conserved and publicly displayed.